Just a small midweek update post here for you today as we were slighly late pushing our voting update to the realms so you can have this update as well! A lot of you didn't see our voting update post and it is a really cool update so I will explain it slightly here. Voting rewards have changed. You will now get a small booster for voting and also get a booster for a vote party as well as your old rewards. /topvotes allows you to see the top voters on the realm that you play on. /votes profile allows you to see information about your votes and claim additional daily rewards for voting daily. /votes jackpot allows you to view the rewards for the current votes jackpot and how long left until it spins. You will get 1 entry into the jackpot every time you vote and an additional one for redeeming the vote delivery man. This has now been pushed everywhere so you will be able to use this now. As I said, not our bi-weekly update, just a little extra one for you. 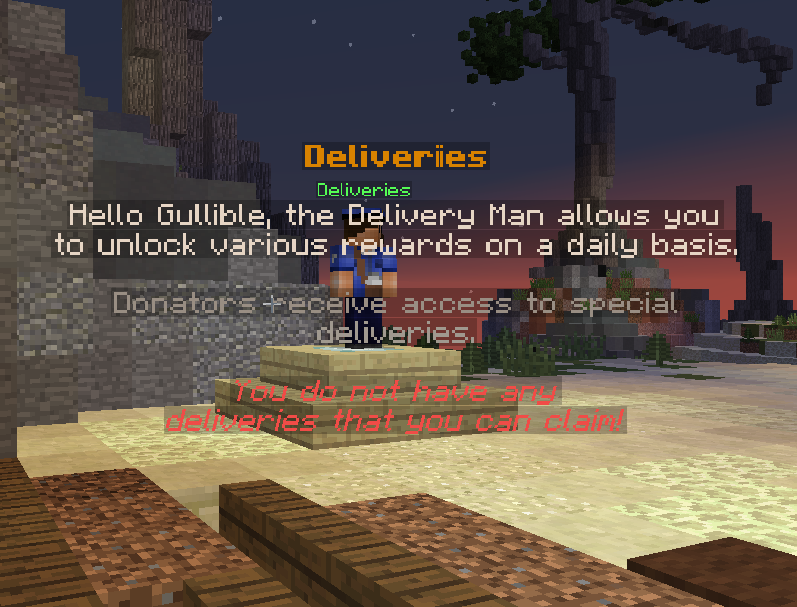 Just a few changes to the way delivery man works and a few new asthetic changes. In the hologram infront of the delivery man, it will now tell you how many deliveries you have to claim, or if you have none. 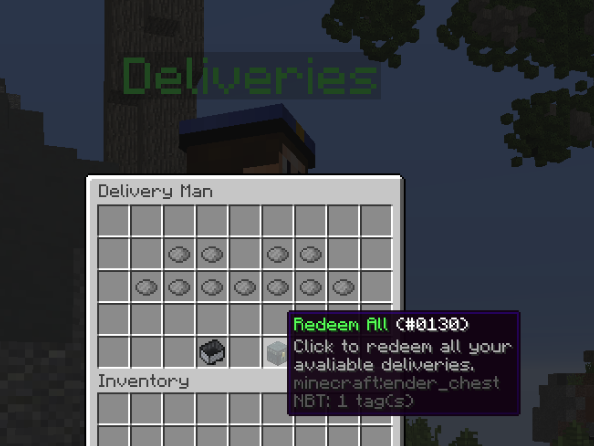 There is also a new button in the /delivery menu which is an ender chest which allows you to redeem all your rewards at once, just to speed up the process. There is a new delivery that will get you an additional 5 points daily. Once you have voted on all 3 of our sites you will be able to claim the new delivery which is the voting delivery. Make sure you do not vote if your vote delivery is on cooldown otherwise you won't be able to redeem it. Just a small update for you today as I said but will be nice for you guys and hopefully encourage you to vote more and give you guys some more rewards in return for supporting us. If you haven't seen, the Mystic realm is resetting this Saturday at 2 PM EDT. Read more at minesaga.org/reset. redeeming the vote delivery man. Still wasn't add to the game, they will add it soon tho. Can't wait to get more rewards from voting! instead of that thing that makes us get all the rewards you should.make one button for the /xpshop so we dont kill oue hand.